The thermo-hygrometer is a measuring device manufactured by Kimo. 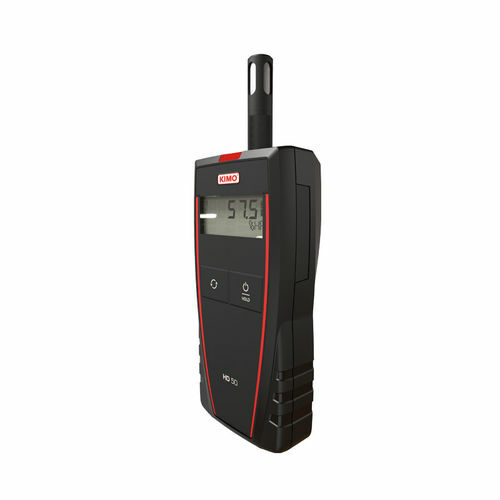 It features a built-in probe, a hold control, and an IP54 ABS compliant housing. Additionally, it comes with an adjustment certificate and a transport container.